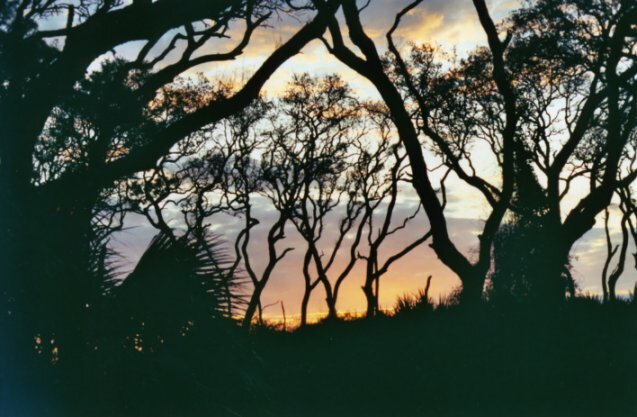 Photo of the Week.Coastal trees honor the dawn. Astronomy news for the week starting Friday, April 10, 2009. 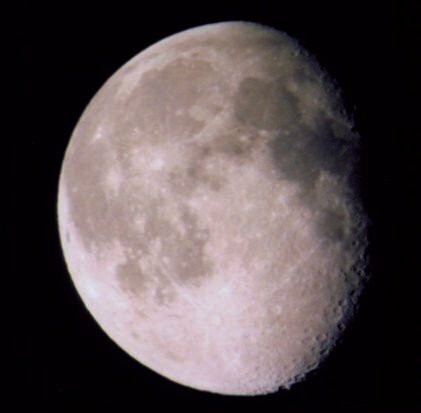 Having just passed its full phase on Thursday, April 9, our Moon now wanes in its gibbous phase during the entire week until it hits third quarter the morning of Friday the 17th, shortly after sunrise in North America. We thus have the opportunity to see the morning daylight Moon to the south and southwest near its perfect last quarter. The morning of Monday the 13th, the Moon will be just to the west of Antares in Scorpius, and will pass just to the south of the star after sunrise. Far enough to the west, in Hawaii, the Moon will actually occult the star. By the following morning, the Moon will have planted itself just between the classical outlines of Scorpius and Sagittarius. Just before third quarter, on Thursday the 16th, our neighbor passes apogee , where it is farthest from Earth. Both evening and morning hold planetary treasures. By sundown, Saturn is well up in the southeast, as it holds its place in southeastern Leo to the east of Regulus, the planet in slow retrograde (westerly) motion against the stars. Nearly, but not quite, of magnitude zero, the ringed planet is about as bright as Orion's Betelgeuse, though of a different color. Look for it to the south around 11 PM as it crosses the celestial meridian. Rising around 4 AM, about an hour before dawn, Jupiter is now eminently visible in the southeast as twilight lights the sky. But now we also have far brighter Venus making the morning scene. Ceasing retrograde on Wednesday the 15th, our sister planet rises prominently just after the beginning of twilight. In the coming months, indeed until late fall, it will blaze away for those who rise early enough to see it. In lesser planetary news, Mars rather invisibly passes conjunction with Uranus on Tuesday the 14th. Look in early evening to see that great symbol of the sky, the Big Dipper, high in the northeast as it moves to cross the meridian nearly overhead around midnight. Look then just to the south of it to find the pair of stars that represent the modern constellation Canes Venatici (the Hunting Dogs) and then a bit more to see the delicate sprawl of stars of the Coma Berenices cluster. As the Dipper climbs for those in the northern hemisphere, so does the famed Southern Cross climb for those in the cognate latitudes of the southern hemisphere.